Before I came to Cardiff Met I wasn’t really sure if I needed to pursue a degree in Graphic Communication. Having had some experience with freelance projects, I was already working with clients but coming from a largely self-taught background, I still felt that there was still so much to learn. Looking back now it’s easily one of the best decisions I’ve made. I’ve met some amazing people, taken part in some really fun and challenging projects and learnt so much along the way. The whole experience has been great, but the main thing about the course is that you are always learning and there are plenty of opportunities. The graphics studio at Cardiff Met is a really positive, productive and social place to be and the tutors are always happy to offer feedback on the work you’re doing. I’ve been working on a piece for a typography competition. This week I’ve been in the studio more than ever, staying in late to finish my entry for ISTD, an annual typographic/editorial competition for students. It has easily been one of the most challenging things I’ve worked on, but at the same time it’s one of the projects I’ve learnt the most from. The course builds competitions like this into the curriculum to give us the opportunity to meet real world briefs and challenge every part of our practice. 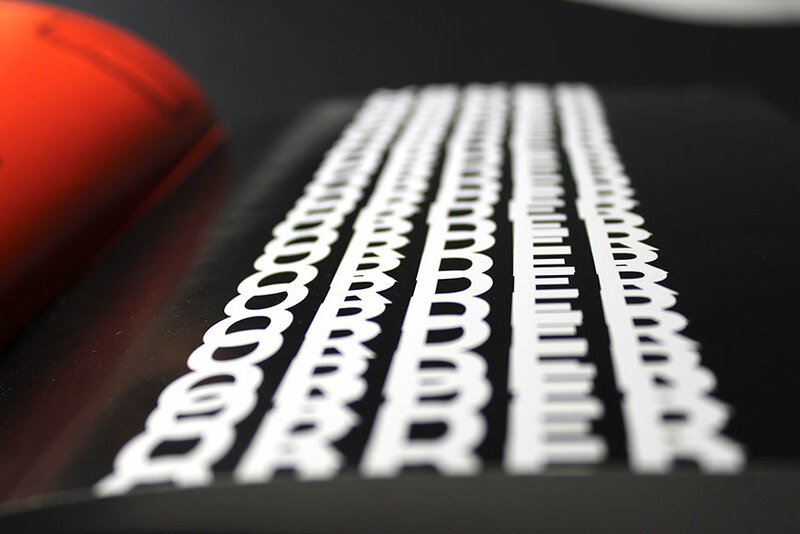 This particular project was really hands-on, not just requiring you to challenge your typographic and editorial skills, but also how you approach book production and printing. University isn’t all about meeting deadlines though. 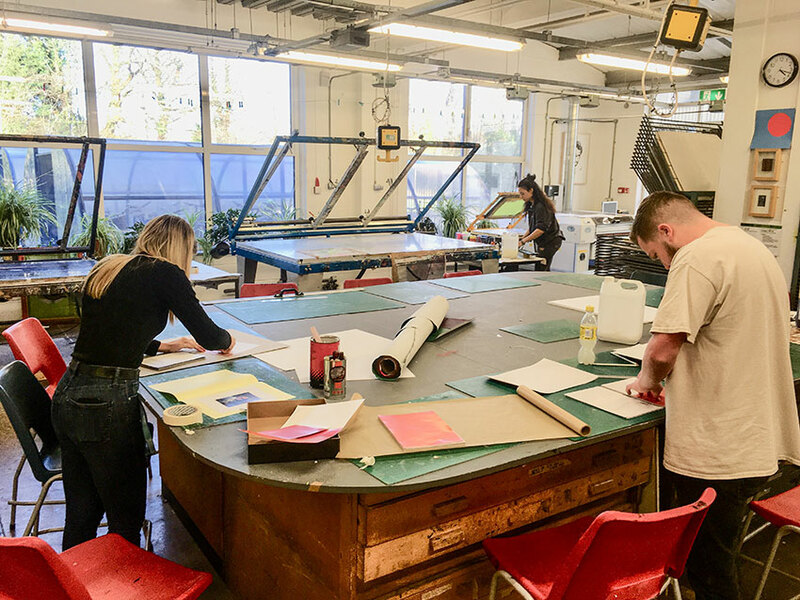 There are endless amounts of workshops and events to attend throughout the year with everything from bookbinding and screen printing, to photography and animation. Hard at work in the studio! This week started with Afterlife, a mid-term series of creative talks from local creative agencies. 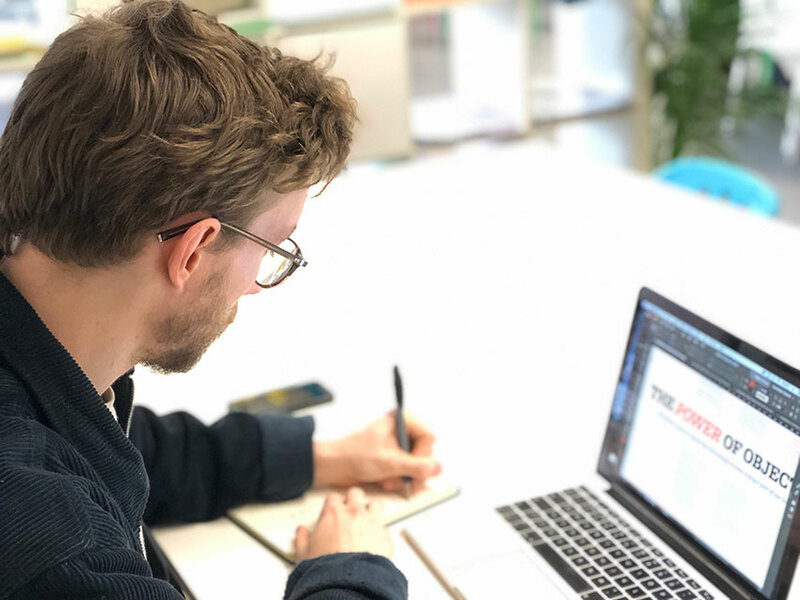 Each week a different person from industry comes into the graphics studio to discuss their work and how they got started working as a designer after university. It’s a great opportunity to gain an insight into life as a designer and to talk to people who were once in your shoes. 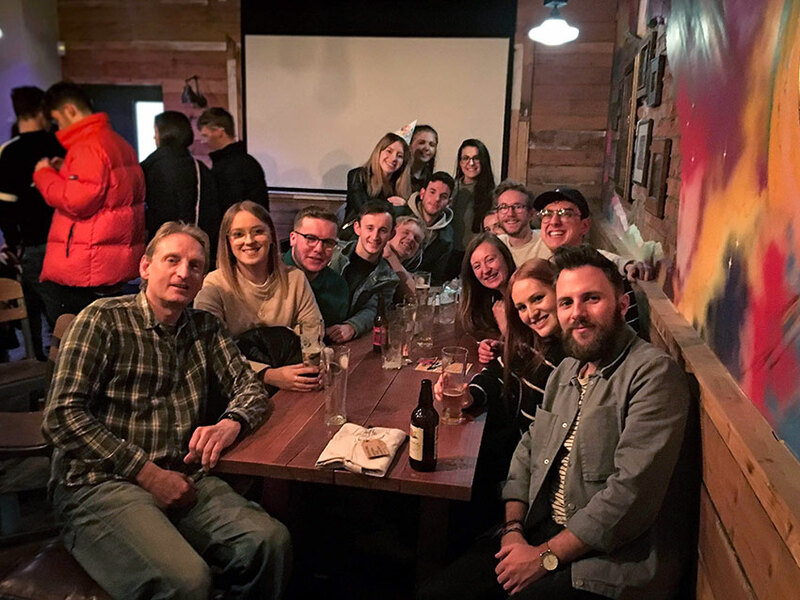 This month we’ve had companies such as Storm & Shelter, Yoke Creative, Bwtic, Sean Rees (from Smorgasbord) as well as former students returning to reflect on their post-uni experiences. 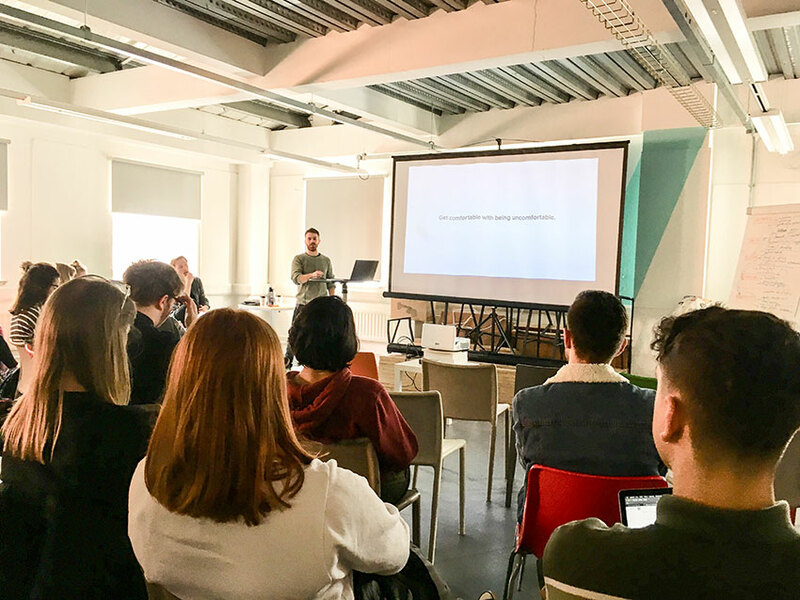 In the 2nd year I was lucky enough to be offered a month internship at Equinox (a leading PR and Marketing company based in Cardiff) after taking part in a live branding project on the course. 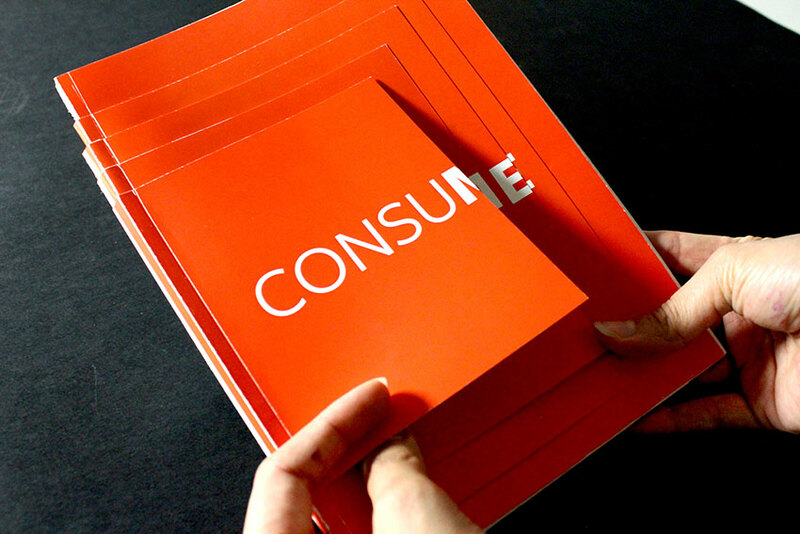 The internship was an invaluable experience that really motivated me to focus on getting a design job after university. 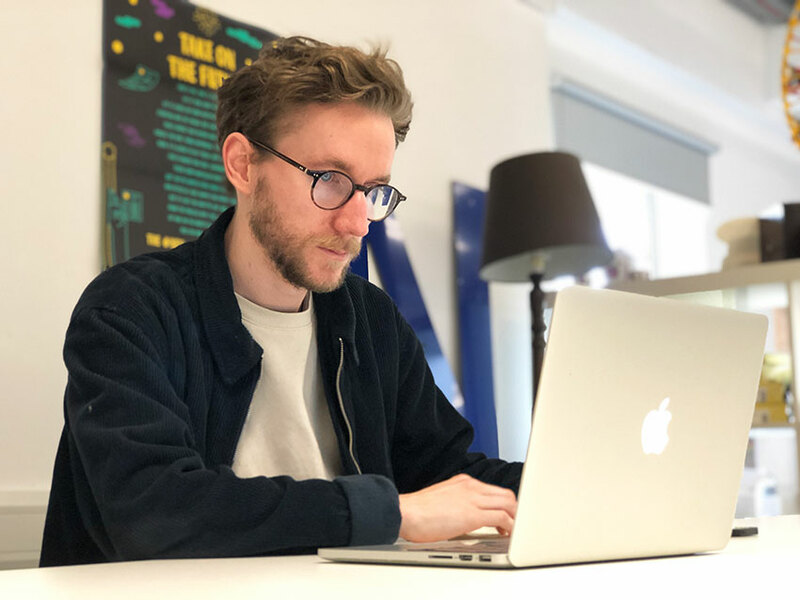 My day-to-day role was very different, one day I was working on a shoot for an advert and the next I’d be back in the office working on a client brief. The team there were so welcoming and friendly which made the whole experience a lot less scary than I anticipated. Fast-forward 6 months and I’m now working there freelance after having helped to rebrand the company. It’s all thanks to the opportunities that you get at Cardiff Met and the emphasis that they place on getting a job in a role that you’ve studied for. Throughout the course they really encourage you to look for and make you aware of these opportunities and help you prepare to make sure that you showcase yourself to potential employers in the best way possible. Cardiff Met’s location is also an advantage. This is not just one of the best cities in the UK to live and work in, it’s also one of the most creative. 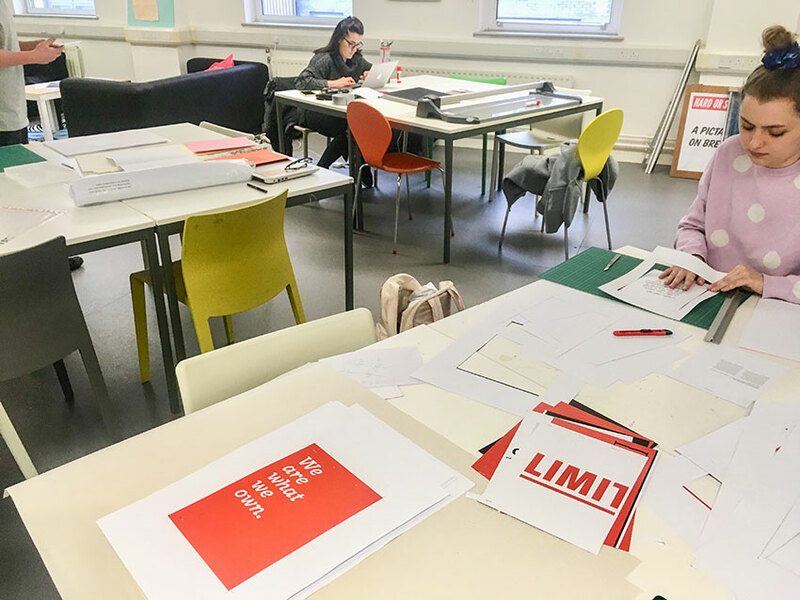 There are plenty of opportunities for students to gain valuable work experience in design related roles, and the Graphic Communication course promotes these opportunities to all their students. This makes sure that they leave university as not just a well-rounded designer and person but that they are prepared and motivated to take on the next phase of their career. Now I’m in my final year with just a month left on my course. It’s going to be a sad day when I have to say goodbye to the graphics studio and everyone here. If you’re lucky enough to be offered a place on the course and are prepared to challenge yourself and learn more, not just about graphic design, but the limits of what you’re capable of, then I would wholeheartedly recommend it. Don’t fear the interview – before I came to university I was worried that I wasn’t prepared enough. I didn’t think my portfolio was amazing, and I thought that I’d be criticised at my interview. It turns out that the tutors here LOVE to meet prospective students and discover the next generation of designers. Their feedback is incredibly friendly and ridiculously invaluable. The interview is a great experience, just show your work and talk about it. Be nice – the graphics studio is a really positive and productive place. All the tutors are really friendly and always willing to help you, so work hard and be nice to people. Turn up – make the most of your time here and go to everything you can. Every opportunity I’ve been given has come from attending things and turning up. Fail – failing is difficult, but if you don’t fail you won’t learn. It’s how you learn from these failures that matters, so don’t be afraid to get things wrong. Have fun – remember to have fun and work on the things that you enjoy. Don’t worry if someone thinks what you’re interested in is weird or ‘out there’, those things are what make you stand out as a designer. Do things that interest you. Good luck – and enjoy it! If you’re anything like me, a typical art student, you’re into at least something nerdy. If so, you’re in luck – Cardiff is a great place to be nerdy. Here’s my Geek’s Guide to Cardiff! Just like most of the UK, Cardiff’s weather is not the most predictable. Here are my favourite things to do in Cardiff in the rain, for those days when the weather is not on your side! The transition from Fresher to second year can be a big one – here are my top 5 tips for getting through it.